I have come across a number of people who do not want to be themselves instead they pretend to be somebody else. They want to be considered wealthy or coming from wealthy background. They want to be known as people of means when they are living from hand to mouth. They want to be known as wise people when they are the most ignorant. In order to improve status in life you have to start with your current state and then move to the desired state. The current state must be correct in order to develop a plan which takes you to your desired state. You have to be yourself in order to achieve your mission. 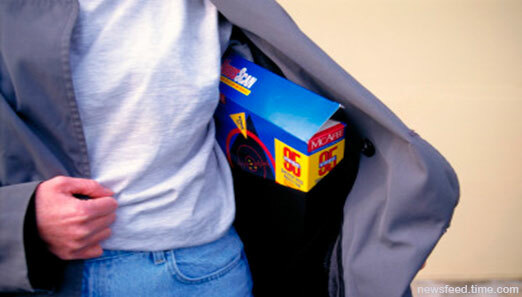 There are a number people who have a habit of stealing or pick pocketing. Every place has these types of people. Of recent I have announcement of the presence of these people in prayer places. They steal anything of value ranging from pens, hotel utensils, handkerchiefs and money among other things. In office they are quite annoying as they hold everyone at ransom. They pick anything of value left on the table, in the drawer or in the bags. Quite often these people are known but they are difficult to get in action. Sometimes in life we get stomach upsets and we cannot avoid them all the time. The problem comes when you venture to meet other people when you have it. A time comes when you have to release the smelly gas. Do not do it when you are in the company of other people. You have to be considerate to others by excusing yourself to move to the place of convenience where you will be free to do whatever you want. Some people find it difficult to tell the truth. Telling lies becomes part and parcel of them. They give false information about anything in order to get favourable response from the victim. When you get a liar coming out of a hotel, he or she will immediately let you that he or she been hosting a group of guests in one of the expensive restaurants. When you meet them coming from the airport, they will tell you that they have just returned from an urgent business trip. Liars always want to create a given false impression to the victim. Unfortunately most liars are known and no one takes them seriously. Information provided by them is fast verified before use. There is a developing trend nowadays of people answering phones or sending sms in any place. I have seen people answering or sending sms in a church service of one hour. I have had business lunch or dinner with people who have attended to their phones more than three times. What is the use of accepting lunch or dinner with someone when you are busy on other businesses. These people will create an impression of call being very urgent. Using your phones in the company of other people is quite annoying and should be stopped unless you belong to professions which require you to be on phone all the time. There is also a tendency of boasting when on phone aimed at impressing their guests.